The first time I tried these, I was surprised how crispy and yummy they were. We eat them like chips, serve them as a side with a meal, and add them to salads for a crispy element. Slice the Kale off the central stalk. Put the pieces onto a baking tray lined with baking paper. Spray lightly with olive oil, and sprinkle lightly with the salt to season. 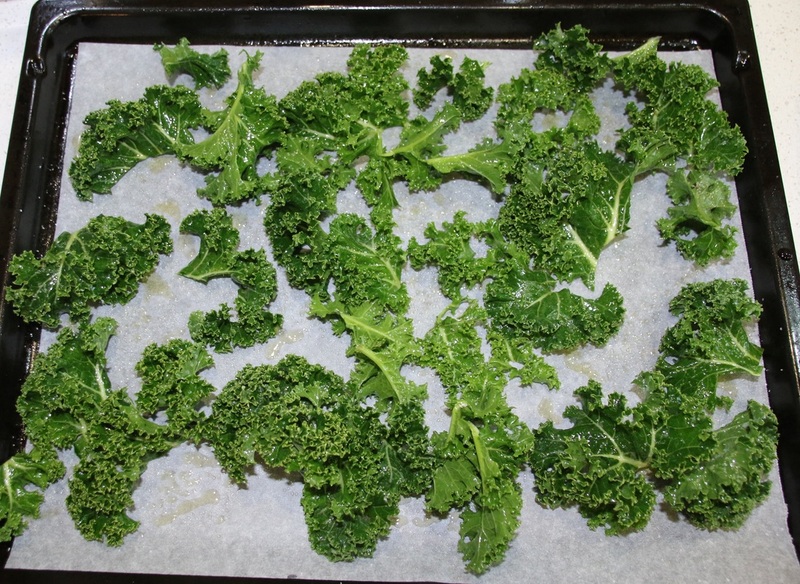 Bake for 5 to 8 minutes, until the kale is crispy. 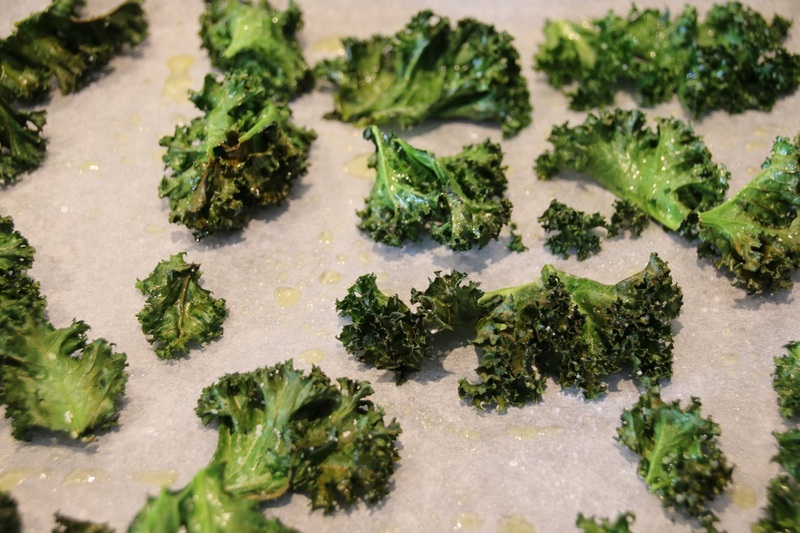 Remove the crisps from the oven as soon as the edges start going brown. 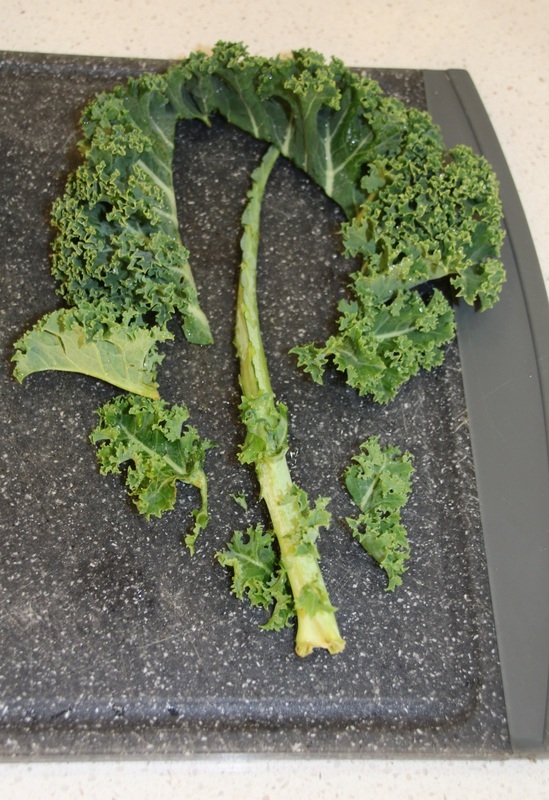 A yummy variation is to toss the Kale in a tablespoon of melted coconut oil to coat them, instead of spraying them with olive oil. Spray lightly with olive oil, and sprinkle with salt to season. 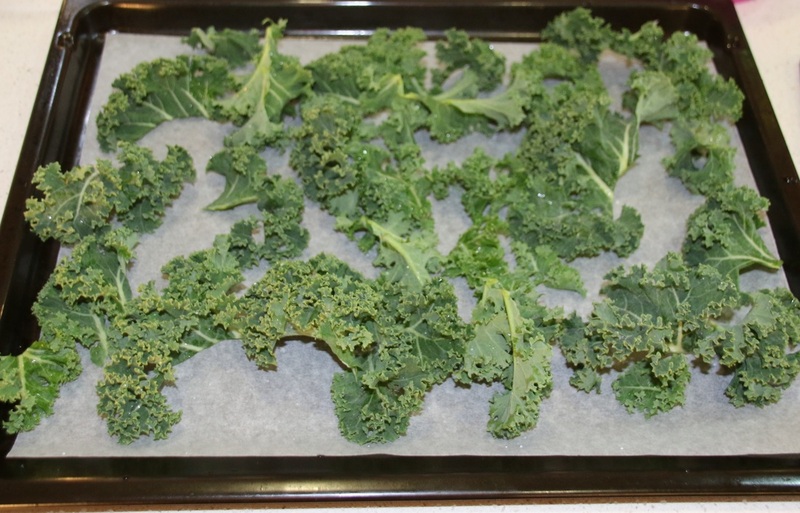 Bake for 5 to 8 minutes, until the kale is crispy. 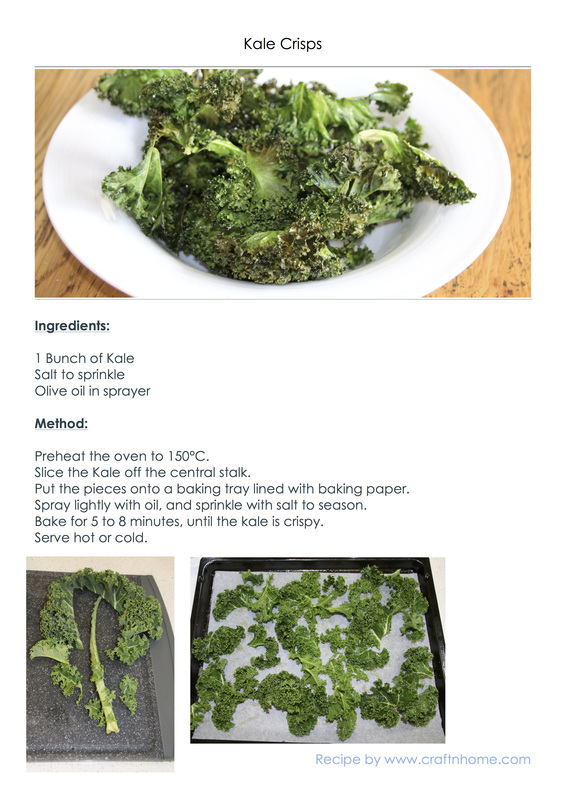 To print the recipe open the pdf doc or jpg image below and select "print"